Our countdown has begun for WSO2Con USA 2017 and we’ve just finalized the outline of our agenda. As always, we promise to give participants three days of insightful talks, hands-on and interactive sessions, along with fun networking events from February 20-22 in San Francisco. We’re still working out the finer details of our full agenda, but there’s something for CxOs, architects, and developers. A significant change in this time’s agenda is that we don’t have a dedicated day only for tutorials; our new structure allows you to start from a high-level introduction and then dive down to the details, including hands-on sessions, of your specific technology area. Here’s a sneak peek into what’s new, what not to miss, and what to expect. API Management – Learn how APIs are the core of any connected business, exposing valuable services across customers, partners, and supplier channels. These sessions will also introduce WSO2’s API management capabilities to accelerate business innovation, enhance IoT initiatives, and facilitate applications delivery. 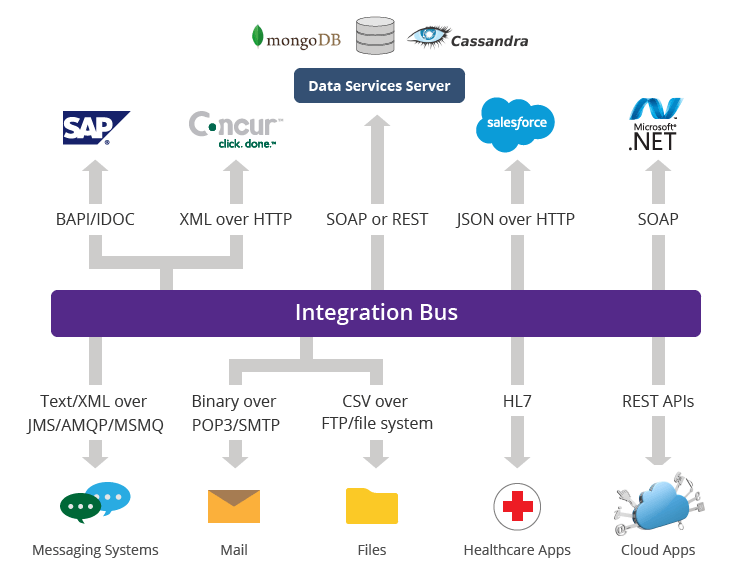 Integration – Learn how enterprises can leverage integration capabilities to seamlessly connect cloud-based, mobile, and on-premise systems. The session will also give you an overview and what’s new with WSO2’s integration offerings. Analytics – Find out how analytics can revolutionize the way you understand and work with your data. The session will also include an introduction to analytics and explain how you can succeed with WSO2’s analytics capabilities. Internet of Things – Become more familiar with what’s hot and new in the IoT world. The session will also explain how WSO2 can help you ramp up your mobile and IoT solutions while ensuring high scalability and flexibility. Security – Know the importance of information technology security and learn how best to deal with the challenges. The session will also focus on how WSO2 addresses identity management across enterprise applications, services, and APIs. If you haven’t registered already, you have until October 31 to get our super early bird offer. Sign up now and don’t miss out! Most enterprises deal with a variety of common IT problems to which they would find quick fixes. One such example is the need to maintain five different usernames and passwords to login to five different systems. Another typical example is the closing of a sales deal – the sales department would conclude the deal and ensure the goods are delivered; this would be updated on the sales records, however, when the finance department reconciles invoices against sales at the end of the quarter, there might be mismatches because the invoicing process was missed. To address these issues, most enterprises will use a combination of basic IT and collaboration software to manage day-to-day requirements. And over time, these requirements will change, prompting a slight shift in the enterprise’s IT landscape too. This may result in a situation where different teams within the organization will find the most efficient ways to carry out tasks and meet their IT requirements with the use of packaged software, possibly by building their own, or even subscribing to more SaaS-type offerings. While this might temporarily fix specific problems, it will pose long-term challenges as such measures are often not pre-planned or do not follow a particular IT roadmap. The actual negative effects of individual teams working in silos would only be felt when the company starts to grow and the use of various systems increase as well. Eventually, the use of several systems that don’t talk to each other will cause operational issues and even hurt motivation among employees. The recurrent problems with these multiple systems working in silos include extensive manual effort, errors, blame, rework, frustration, complaints, and the need to manage multiple passwords. These in turn result in inefficiencies. To address these challenges, the enterprise needs an easy-to-implement, cost-effective solution. There’s no guarantee though that there would be a plug and play type of system or one that could be customized to meet the enterprise’s exact requirements. The enterprise would seek a unique, bespoke solution that would either mean they change the way they work with existing software or rethink the software itself. The most viable option would be to integrate the systems (which, of course, have proven to be efficient to meet a specific requirement) used by different functions and then explore some sort of automation that will provide relief to employees. WSO2’s highly-acclaimed open-source middleware platform has the capabilities that enable seamless integration of IT applications, thus streamlining day-to-day business activities of a given enterprise. This in turn will boost efficiency and integration across business functions and teams and improve overall productivity as well. For instance, WSO2 Identity Server (WSO2 IS) can define an identification for a user in a particular organization, enabling him/her to log into multiple systems on-cloud or on-premise with a single username/password. The enterprise too will benefit as WSO2 IS offers provisioning capabilities that allow your IT to register and auto-provision new employees across multiple systems as well as easily de-provision them when they leave the organization. WSO2 Enterprise Service Bus can meet all your integration challenges with its capability to connect various systems that speak different languages. It also comes with a defined set of connectors to further support integration of systems, be it on the cloud or on-premise. Once all of your systems have been integrated, you can leverage WSO2 Data Analytics Server (WSO2 DAS) to pull reports from different functions within your organization and automatically collate data that will translate to valuable information required to make business decisions. WSO2 DAS has in-built dashboard capabilities that will automatically create and publish dashboards on a real-time basis. Moreover, all WSO2’s products are 100% open source, which gives enterprises the freedom of choice and empowers the business with limitless possibilities to expand. Learn more about WSO2’s comprehensive and open platform for your connected enterprise. For more details on how to establish friendly enterprise IT and get more love from your team, watch this talk by WSO2’s VP Operations, Shevan Goonetilleke. It’s common knowledge now that the Internet of Things is projected to be a multi-trillion dollar market with billions of devices expected to be sold in a few years. It’s happening already. What’s driving IoT is a combination of low-cost hardware and lower power communications, thus enabling virtually everything to become connected cheaply. Even Facebook talked about it in their recent F8 conference (photo by Maurizio Pesce). And why wouldn’t they? A vast array of devices that make our lives easier and smarter are flooding the market ranging from fuel-efficient thermostats, security systems, drones, and robots, among others. The industrial market for connected control and monitoring has existed and will expand in automated factories, logistics automation, and building automation. However, efficiencies are being found with new areas. For instance, connected tools for the construction site enable construction companies to better manage construction processes. We are also seeing increased intelligence from what can be referred to as the network effect – the excess value created by the combination of devices all being on a network. What’s remarkable is that all IoT protocols share one common characteristic, i.e. they are all designed around publish/subscribe. The benefit of publish/subscribe event driven computing is simplicity and efficiency. Devices or endpoints can be dynamic, and added or lost with little impact to the system. New devices can be discovered and rules applied to add them to the network and establish their functionality. All IoT standards support some form of discovery mechanism so that new devices can be added as near seamlessly as possible. Over the air a message can be delivered once to many listeners simultaneously without any extra effort by the publisher. All of this efficiency and flexibility sounds too good to be true? You guessed right. The greatest challenge with this is security and privacy. While most protocols support encryption of messages, there are serious issues with security and privacy with today’s protocols. There are many IoT protocols and the diversity indicates a lot of devices will not be secure and it is likely that different protocols will have different vulnerabilities. Authentication of devices is not generally performed, so various attacks based on impersonation are possible. Most devices and protocols don’t automate software updating and complicated action is needed sometimes to update software on devices. This can lead to vulnerabilities persisting for long periods. However, eventually, these issues will be worked out and devices will automatically download authenticated updates. The packets will be encrypted to prevent eavesdropping and it will be harder to hack IoT device security, albeit this could take years. Enterprise versions of devices will undoubtedly flourish, thereby supporting better security as this will be a requirement for enterprise adoption. Publish/subscribe generates a lot of excitement due to the agility it gives people to leverage information easily, thus enabling faster innovation and more network effect. Point-to-point technologies lead to brittle architectures that are burdensome to add or change functionality. WSO2 has staked out a significant amount of mindshare and software to support IoT technologies. WSO2 helps companies with its lean, open-source componentized event driven messaging and mediation technology that can go into devices and sensors for communication between devices and services on hubs, in the cloud or elsewhere; big data components for streaming, storing and analyzing data from devices; process automation and device management for IoT and application management software for IoT applications and devices. WSO2 can help large and small firms deploying or building IoT devices to bring products to market sooner and make their devices or applications smarter, easier, and cheaper to manage. In November 2015, we announced a high performance, lightweight, and configuration-driven message gateway – WSO2 Gateway – based on standard gateway patterns. We made available an Alpha version with a plan to announce general availability this year. This product provides fully decoupled protocol handling layers and message processing layers, making it easier for users to configure messaging behavior at each layer independently. A few months later, and as we progressed with our GA release plan, we realized there was a broader need and changed our strategy to instead use this component as a framework for all WSO2 integration-based products: the gateway framework will become the core of other gateways, such as the API gateway of our API management offering, and power the next generation of our enterprise service bus. The original gateway code is still accessible on GitHub. Many folks who’ve been around at WSO2 since its inception have great tales to tell, ranging from their first impressions, long hours spent before a product release, the many challenges faced, and funny stories behind the scenes. However, one thing is clear – WSO2 has inspired each of them in many ways and challenged them enough to be able to outperform and make great strides in their careers. Recruitment for any startup is hard, especially if you don’t have a fancy office and no great success stories to share with potential employees. Back then too, all we had to convince people to join us was the confidence we had that this business will scale and a promise to inspire, challenge, and motivate them every day. It was perhaps a Shifu-Po situation like in Kung Fu Panda where an empty scroll (supposedly sacred and powerful) is handed over – all there is in the end is confidence and ability to believe in what you do and do it with great confidence. So, is there a secret ingredient to success? Like Mr. Ping tells Po, it’s nothing! Many would say it’s the open culture, environment, and opportunity WSO2 has given them to brainstorm, throw in ideas, try things out, make mistakes and learn from them, and eventually be able to move forward with the best decisions – that’s how we’ve been able to innovate and thrive. And great ideas can come from anyone, whether you’re an intern, a senior person, or a clumsy ‘Po’ in the company, hence everyone’s ideas are equally important. And sometimes, we take daring to new heights – doing whatever it takes to be where we have to be! The great lessons learned possibly by each employee at WSO2 as well as the company as a whole is to not wait until everything is just right, but to move forward with confidence and implement and make the required tweaks as we go along. We’ve learned that things will never be perfect. There will always be challenges, obstacles, and less-than-perfect conditions. But what’s important is to get started now. With each step we’ve taken, we as a company have grown stronger, more skilled, more self-confident, more successful, and today we’re bigger and better. WSO2 Ten Years: It Takes Two to Tango! Co-founder (and former Chief Technology Officer) Paul Fremantle knows how to party. The word around WSO2 is that Paul literally dominates the dance floor with his swift jive moves, headbanging, and jumping jacks! WSO2’s success is a testament that the same levels of energy have been put into cracking the whip as CTO for most of the company’s 10 years to create innovative products that are being used by customers the world over. So when did the dynamic duo get down to business? After working together for 5 years at IBM, they became friends. In 2004, Sanjiva invited Paul to Sri Lanka to participate in the Lanka Software Foundation workshop on Apache Software. One day, over dinner, they joked about starting to work for themselves, and what followed was a 2-day brainstorming session a few months later in London between Paul, Sanjiva and another partner (who opted out not too long after things started to progress). The plans for project WSO2 were hatched “during a very long lunch at the Nando’s in Putney over some very spicy chicken” reminisces Paul. Thereafter, they rented a room in a cheap hotel in Putney (The Lodge Hotel) and spent time in a stuffy, windowless basement room planning and discussing WSO2. By December 2004, the building blocks for WSO2 had been visualized. Tragically, later that month, the devastating Asian Tsunami hit Sri Lanka and Sanjiva became involved in relief efforts back home. Plans for WSO2 were put on hold. By around April 2005, Sanjiva had freed up some of his time to revisit the WSO2 idea and actually set up the framework for the company, while Paul was still doing time at IBM. From there, things progressed swiftly. By July 2005, Paul handed in his resignation and the final paper work for WSO2 was completed. Although it was a major career decision for him, Paul had no doubts and felt that it was the right time to break away as opportunities like this didn’t present themselves often. Paul explains that he was really keen on the project, but at the time he never expected WSO2 to be where it is today. Paul says “it’s like lego.” “In a nutshell, it means you can collect the pieces you want to build what you need and then add anything more you need as you go along. This compares with having to build what you need from scratch every time, which would be the case if you used clay. “In the last 10 years the vision has come to pass; Sanjiva’s long-range vision was broader than mine,” he adds. In February 2015, Paul decided to step down as CTO and concentrate on his research into IoT secure middleware. He’s still an observer on the board though. Life moves on at WSO2, and hopefully the ‘gaps’ created on that dance floor at company parties due to fears of being pushed off by Paul would be now be filled too! It has been established that Founder, CEO, and Chief Architect of WSO2 Sanjiva Weerawarana is most definitely color-blind and is an aggressive perfectionist – now that’s a deadly combination! Color blind? – Yes, if you can’t tell the difference between green and red, you can’t give feedback on color-related decisions and thus don’t have a vote on such initiatives even if you’re the CEO. But, his insistence on attention to detail in everything keeps everyone on their toes. Besides some quirky traits, it’s Sanjiva’s vision for the industry and passion to do whatever it takes to get things done that has brought WSO2 a long way from its humble beginnings. In 1997, he joined IBM in the US taking up work in research. While at IBM, he got involved (he says this happened by chance) in the research and development of XML (Extensible Mark Up language.) Sanjiva himself says that “during these early days of XML, the industry nor I knew exactly where XML would be twenty years down the line.” During his time at IBM he worked with the teams that developed XML, Web Services and service-oriented architecture (SOA). His thoughts on what these products could do were not shared by IBM at that time. Therefore, he decided to pursue his vision for enterprise middleware. His experiences gained at IBM and the US gave him the inspiration to turn his vision into reality. He was motivated by his ideas for what could be achieved with open source software in the future. At that time, all contributions to open source software were from Europe and the US, and with English being the dominant language in software design and communication there was limited participation from Asia and countries like Sri Lanka. “In 2001, no one from this part of the world dealt in open source software” he says. He adds that working together with the Lanka Software Foundation, it was possible to focus on Sri Lankan expertise and understand the depth of talent available and waiting to be tapped. At the time, the focus was to ensure that talented young people had access to knowledge and information and exposure in the field. Today, Sri Lanka, albeit behind the US and Europe, is one the largest contributors of free open source software (FOSS). Sajiva’s experience with the Lanka Software Foundation brought with it the realization that his vision for open source software could open doors and create opportunities. Another reason for his journey back home was to use his experience and expertise in a manner that would enhance the brand value of his homeland. He wanted to move away from the perception of Sri Lanka as an ‘outsourced labour market’ and highlight the intellectual wealth within the country and position the country on the global technology map as a manufacturer instead of being a mere solution provider. The idea was to explore commercial possibilities and, in the long term, build expertise. In almost every speech Sanjiva delivers he quotes Steve Jobs’ ‘the journey is your destination’- the journey for Sanjiva and everyone at WSO2 has indeed been rewarding so far, and there’s miles more to go. Not everyone is a perfectionist, but what’s significant is the progress made in the past 10 years that’s truly created a global impact.